A well-travelled former schoolmate recently returned from a whirlwind adventure through the Middle East. 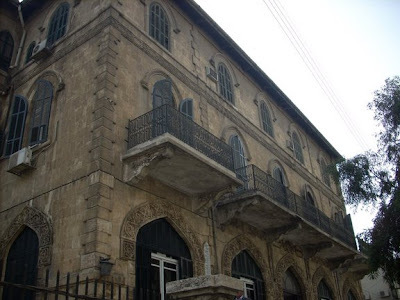 In the midst of visiting cafes in Beirut, Northern Iraq and Damascus, he holed up at the Hotel Baron in Aleppo, joining the ranks of the site's other stylish (and powerful) guests: T.E. Lawrence (his bill is framed in the lobby), Agatha Christie, Charles Lindbergh and Teddy Roosevelt. The New York Times' Seth Sherwood calls it, "a faded grande dame from the era of steamer trunks and ragtime." 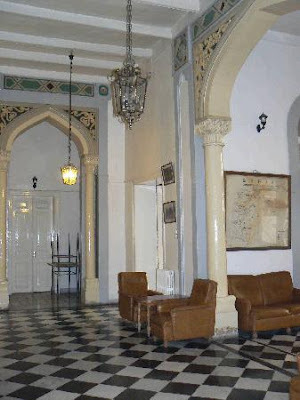 Another beauty to check out: the 8-room Beit al-Mamlouka hotel in Damascus.